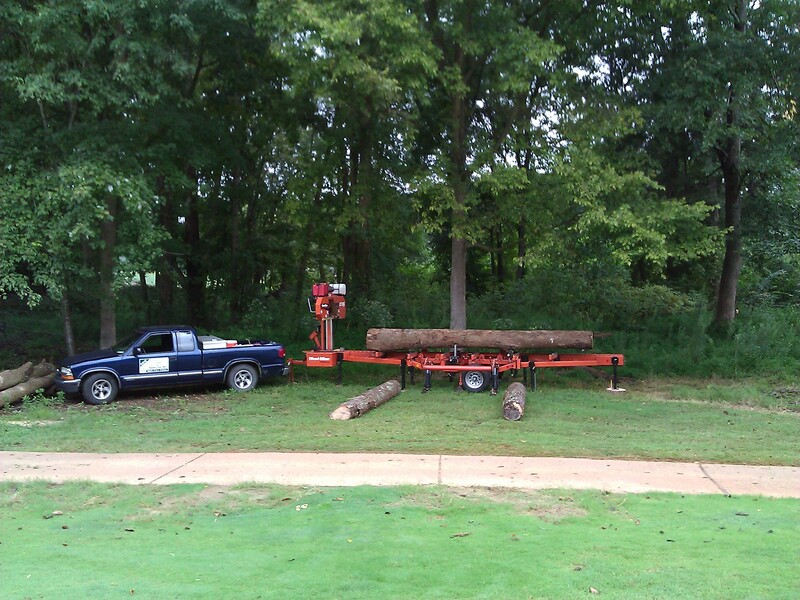 H&W Custom Cut Lumber & Mobile Sawmill. Treecycling is what we do. You'll be surprized at the savings when you have your fallen or storm damaged trees sawn into lumber & Timber products. You end up getting lumber that you just can't find at the box stores. Give us a call today. Here, is a Great site. I feel as though I must post a link to it. Wood like they used to build with. 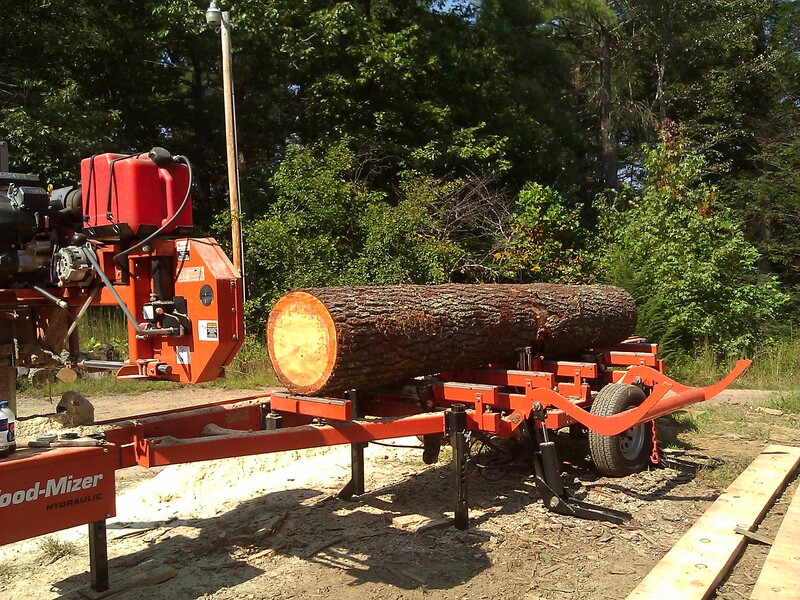 Our WoodMizer sawmill makes it hard to call it rough cut lumber. 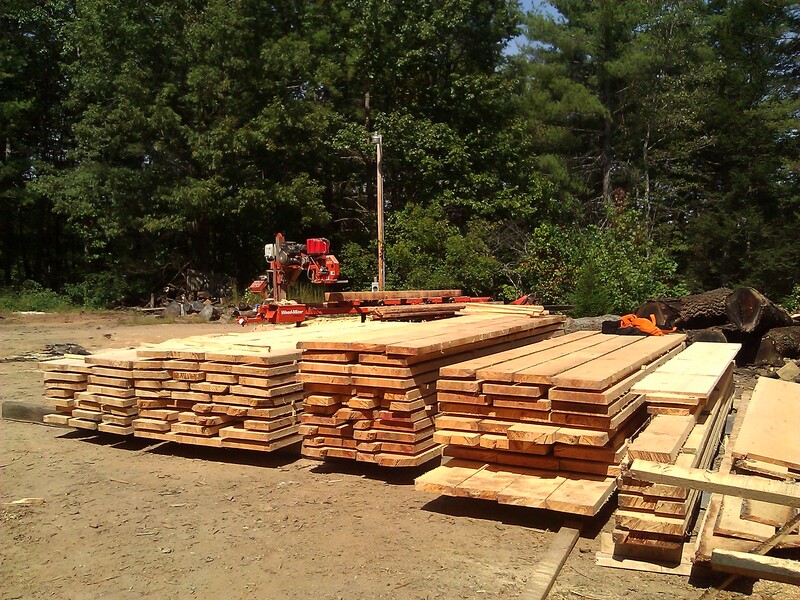 It's a fully Hydraulic sawmill and can produce about 400 to 500 board feet an hour, with "Prime Logs" and two helper's. Time for material handling is time consumed NOT MILLING and must be taken into account, ( the logs don't roll themselves to the mill & the wood doesn't off load itself either.) 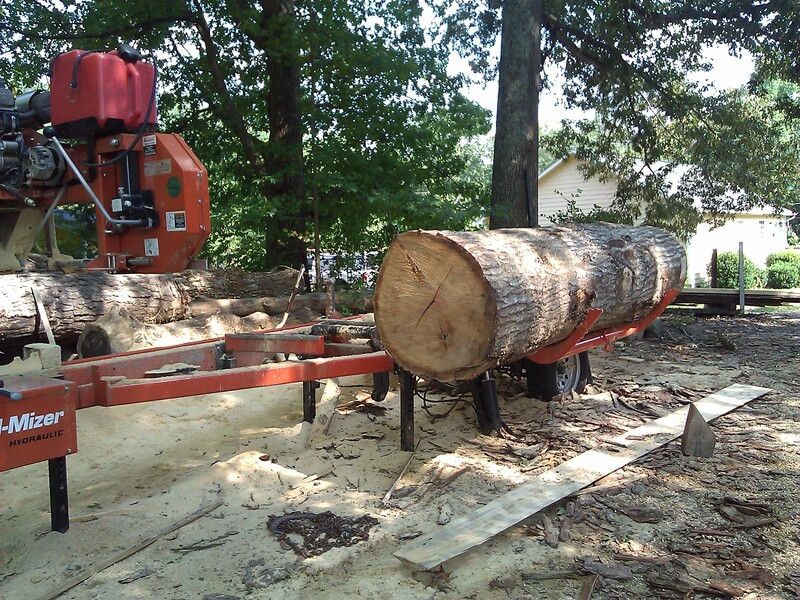 That being said, we can produce about 300 to 400BF an hour, depending on logs, species, and dimensions being sawn. 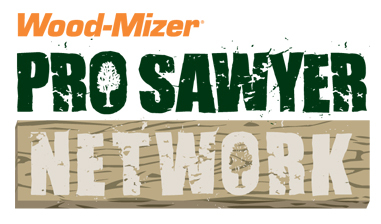 The WoodMizer makes for smooth, true sawn lumber, fresh off the log. Also, with the thin kerf of a bandsaw you get about 30% more lumber per log than with other mills (Circle Saws). That makes you the winner right from the start. We will come to your site and show you what's needed as far as set-up, to make things happen the fastest possible, thus getting more wood sawn for the least amount of money.